National Geographic Society, 2012-02-28. paperback. New. Ship out in 2 business day, And Fast shipping, Free Tracking number will be provided after the shipment.Paperback. 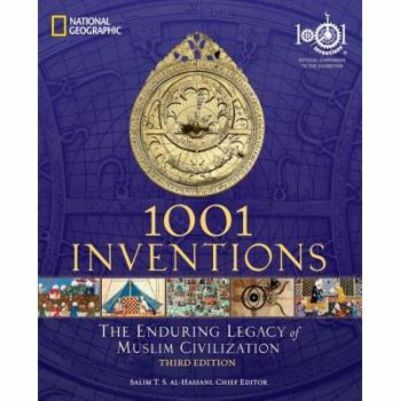 Pub Date: 2012-02-28 Pages: 352 Language: English Publisher: National Geographic Society 1001 Inventions: The Enduring Legacy of Muslim Civilizationtakes readers on a journey through years of forgotten Islamic history to discover one thousand fascinating scientific and technological inventions still being used throughout the world today Take a look at all of the discoveries that led to the great technological advances of our time;.. engineering. early medicinal practices. and the o... Satisfaction guaranteed,or money back.